On November 2nd we will have a Requiem Mass at which we shall remember all the souls whose Funerals we have conducted in the past year. The Service at 6.30pm will also remember other departed loved ones, including those killed in Road Traffic Accidents. The Remembrance theme continues on November 8th (Remembrance Sunday) when we will have an Act of Remembrance for all who gave their lives in war and conflict. The main morning service will start earlier than usual at 10.50am. On November 11th itself Canon Mark Soady will join Cty Cllr John Prosser, Monmouthshire County Council’s Armed Forces Champion for a 2 Minutes Silence at 11am at the Castle. As I get older I spend more time reminiscing , more time remembering the past, but the remembering we are called to do in November is of a different scale. In that Act of Remembrance we are also called as a people to learn from history and try not to make the same mistakes again. I pray we will do that. Brother Adrian will be leading a group for all levels from 2pm to 3.30pm, initially studying the book of Exodus in fourteen parts, before studying the Letter to the Hebrews. He will then lead his group through the different topics which occur in Exodus, such as the burning bush: Moses encountering God, the first 9 plagues of Egypt, the Passover and the Ten Commandments. The Bishop has asked us to spend 2016 studying the Anglican Churches 5 Marks of Mission. Come and hear the Priory Church Choir in Concert at 7pm singing Mozart’s Coronation Mass and other pieces. St Crispins Day (October 25th) marks the 600th Anniversary of the battle of Agincourt, and Abergavenny has a key place in this significant battle against the French. Many of the Welsh Archers who played such a significant part in the battle came from this area. 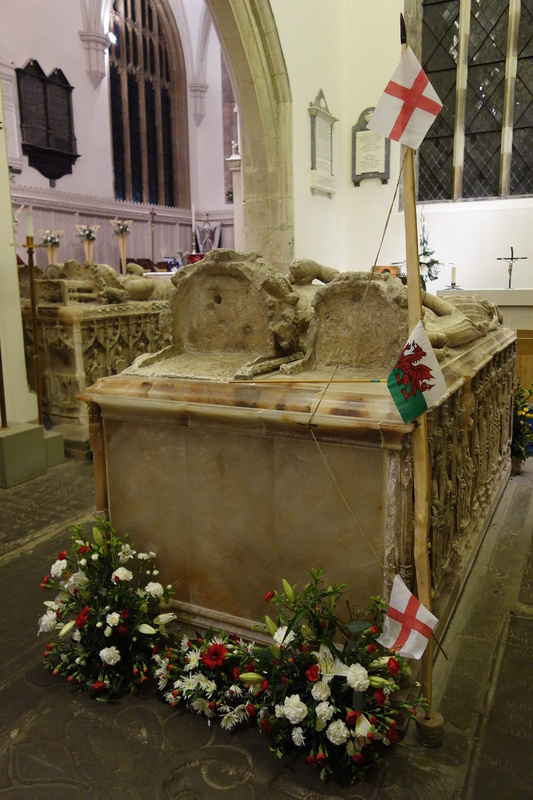 Buried in St Mary’s Priory is Sir William ap Thomas who fought at the battle. He is buried alongside Glwayds his wife, whose father Dafydd Gam and first husband died in the battle. They will be remembered at a Special Service at St Mary’s Priory on October 25th at 6pm when the Lord Lieutenant ‘s cadets will lay wreaths on their tombs. 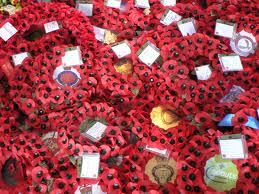 The wreaths will have been blessed earlier that day at a service at Brecon Cathedral. The Dean of Llandaff will preach at the service, which will be attend by local historians and civic leaders, as well as members of the public. Restoration work on the 10 Bells in the Priory Tower has begun. The ringing of the bells will not be affected for the present, but they will fall silent for two weeks after Remembrance Sunday. The Bells often referred to as one of ‘the best rings in Christendom’ are rung regularly every Sunday morning and at other major occasions. At the dissolution of the monasteries in 1536-39, the parishioners bought the four bells, weighing a total of 45.5 cwt, which hung in the Priory Church. The tenor was recast in 1603 and the 3rd recast in 1666, by the Purdues of Bristol. 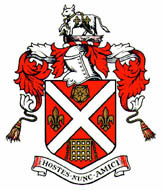 The treble was recast in1706 by Abraham Rudall. The bells were augmented to five in 1835 and then to six in 1845 by Jeffries & Price of Bristol. To commemorate Queen Victoria’s Jubilee in 1887, the bells were rehung and augmented to eight by Llewellins & James of Bristol, the same firm recasting the tenor (19 cwt) in 1893. 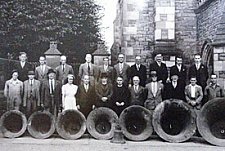 Finally, in 1947, these bells were replaced by the present magnificent 10 from the Loughborough foundry, in thanksgiving for the end of the Second World War. They are considered to be the finest ring of 10 bells in Christendom and bell-ringers from all over the country come to ring the changes. The medieval 6th of the old ring, dated 1308, is preserved in the nave and inscribed ‘May the bell of John last many years’ – perhaps indicated that this was one of a peal of bells donated by John de Hastings, the man responsible for the first restoration of the Priory Church. Gwent Bach Society perform Cherubini Requiem in C Minor, and Haydn Mass in time of war. Crickhowell Choral Society perform: Mozart’s Mass in C Minor, Mozart’s Regina Coeli and Arvo Part’s Cecilia, Vergine Romana.